Olympiacos will incorporate Manny Harris to help with the upcoming training sessions. 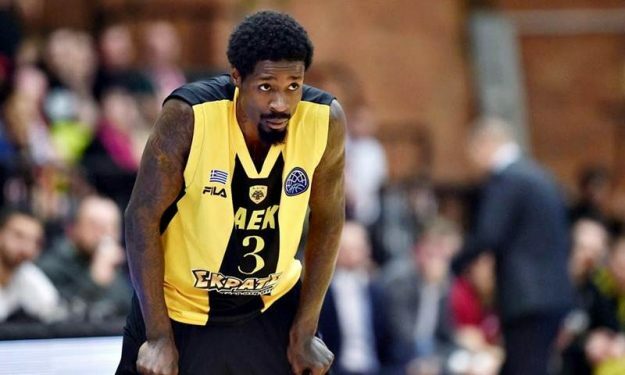 2018 Basketball Champions League MVP and champion with AEK Athens Manny Harris will join the preseason practices of Olympiacos Piraeus. Harris, together with Fotis Lambropoulos, Christoforos Stefanidis, and Nikos Stylianou, will help with the practices of Olympiacos in light of the absences of many international players ahead of the two World Cup Qualifiers rounds held in September. Olympiacos will be missing Giorgos Printezis, Kostas Papanikolaou, Vangelis Mantzaris (Greece), Janis Strelnieks and Janis Timma (Latvia), Nikola Milutinov (Serbia) plus Sasha Vezenkov (Bulgaria) in the next couple of weeks due to the players joining their national teams.